Subscribe to The Financial Brand via email for FREE!For years, former banking offices have been turned into steakhouses, bistros, furniture stores, and bars. In Manhattan, for example, the old Bank of the Metropolis became the Blue Water Grill, and Bowery Savings Bank became the über-luxe Cipriani restaurant. In tiny Hawley, Pennsylvania, the former headquarters of a defunct local bank became “Torte Knox.” Something about vaults seems to inspire culinary artists. O Bee Credit Union has flipped this trend around. 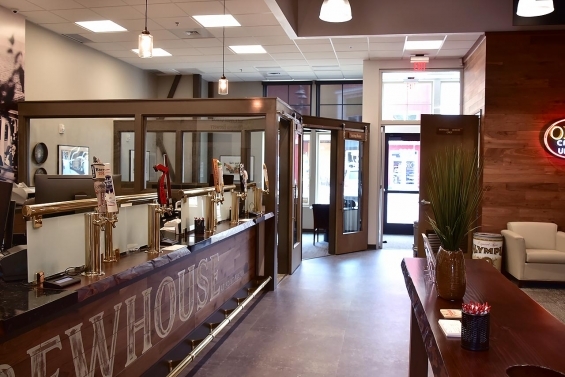 Instead of closing branches and letting someone else turn them into bars and restaurants, the $300 million institution based in Washington State is using a brewpub design to revamp its branch experience. The credit union was originally founded to serve employees of the Olympia Brewing Co., but changed its name to “O Bee” (a phonetic abbreviation for the initials in “Olympia Brewing”) in an effort to serve a broader audience after the brewer shuttered operations. In one brewhouse location, O Bee Credit Union gutted and revamped a branch acquired from KeyBank. The latest, in an up-and-coming suburban neighborhood, was built from scratch. Lee Wojnar, VP/Marketing for O Bee, says the credit union has tweaked the concept with each location, taking experiential marketing in branch banking in new directions — blending a little bit of Disney with a nod to history, heritage and hops….